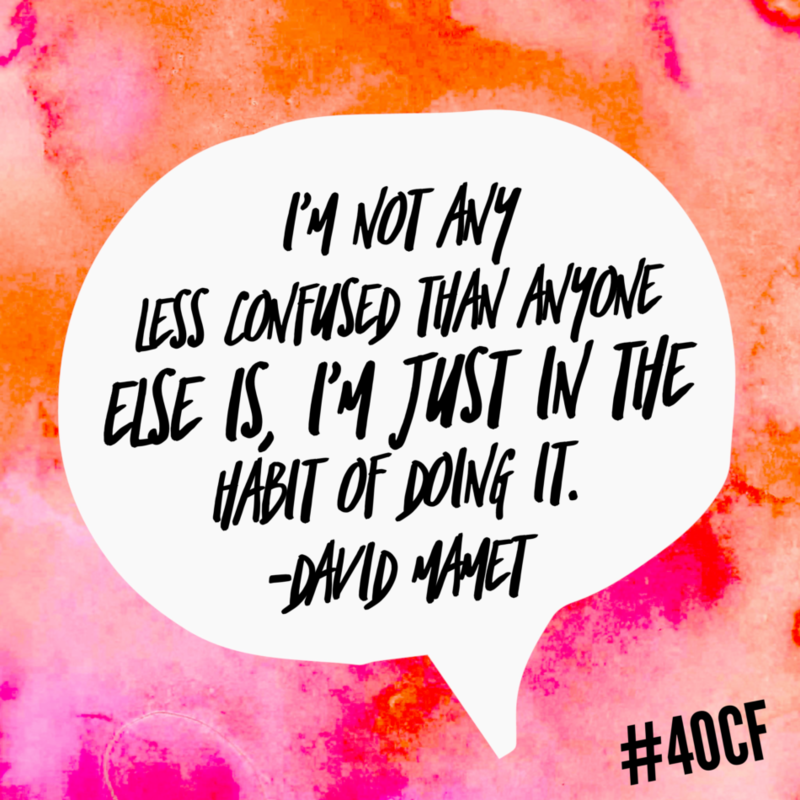 On a recent Master Class that I watched, Pulitzer Prize winning playwright, film director, screenwriter and author, David Mamet said about his writing, something like, I’m not any less confused than anyone else is, I’m just in the habit of doing it. We tend to see things like writing, drawing, dancing, sports, etc in terms of talent. The presumption is that people who excel at these sorts of activities are talented and therefore they can do these sorts of things. We disregard the time they gave and the energy they exerted to become so “talented.” Why? Because we don’t see it. It’s done privately. It may be hard to think that everyone can be talented. It’s pretty easy to accept that anyone can develop a habit.